All Havana hotel reviews are written by us or real guests. All Havana hotel bookings are guaranteed to present the lowest rate comparison, immediate & secure confirmations with NO PREPAYMENT for any hotel listed in Havana Cuba. That’s a guarantee! We list All hotels in Havana on this website, this includes 5 locations; Hotels in Miramar Havana, Hotels in Vedado Havana, Hotels in Playas del Este (beaches) Havana, Hotels in Centro Habana, Rural Hotels outside of Havana. Note: For hotels in the 2² km (1.25² miles) that makes up the Colonial zone called Old Havana or Habana Vieja then please visit our sister website HotelBookingsOldHavana.com as these hotels in the old quarter are not listed here. Miramar is a classy neighborhood 7km from Old Havana and Havana’s newer center called Vedado. Its centerpiece is the long tree lined axis called 5th avenue with its central pedestrian walkway and stone benches. 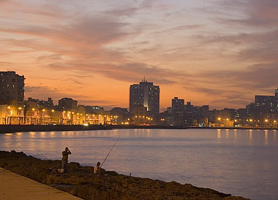 You’ll traverse all of 5th Avenue and its extension called Malecon to get to Old Havana. It’s essentially a straight run. Hotels in Miramar are much larger, generally newer and, usually more luxurious, than those found in either Vedado or Old Havana. There are a couple of exceptions like the Hotel Parque Central or Hotel Saratoga but, as a general rule, this is the case. Hotels in Miramar Havana range from 3 to 5 star. Miramar offers several distinct advantages over other areas of Havana. Firstly, the hotels are generally better equipped and newer. Secondly, the area of Miramar “feels” classier and offers some delightful areas to discover on foot. There are lots of private paladares in Miramar and it is home to several supermarkets, shopping centers, Hemingway Yacht Marina and Club Havana private beach club. Most, if not all, hotels in Miramar offer some type of shuttle bus into Old Havana and the distance is so short that it borders on the irrelevant. Staying in Miramar means you are closer to Jose Marti Airport, Tropicana Cabaret, Club Havana, Marina Hemingway and the National Aquarium. 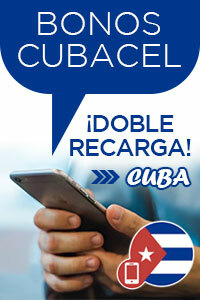 Both Vedado and Central Havana are the central metropolitan areas of Havana. Each is just a reasonable 10 to 30 minute walk from Old Havana. Most guests at Hotels in Vedado tend to gravitate down to the Havana Malecon (seafront boardwalk) then walk into Old Havana. Unlike the aforementioned Old Town, Vedado offers a true sensation of the city whereas; Old Havana is a maze of tiny Colonial streets intermingling within one another. Choosing a Hotel in Vedado or Central Havana means that you’re extremely close to the Colonial quarter of Old Havana but also right in the nerve center of the city for attractions such as, the best Jazz cafes, Night Clubs, Havana’s cemetery, Restaurants and Entertainment. Some of the lower priced Hotels in Havana are situated in Vedado and Central Havana, a few notable exceptions being the Hotel Nacional, Hotel Melia Cohiba and the Hotel Tryp Habana Libre. All the others are between 3 and 4 star. Havana’s eastern beaches of Tarara, Santa Maria del Mar, Megano & Guanabo are between 15 and 20 KM outside the Capital, see the list of these hotels. When reentering Havana from all these beach areas, you do so through the Tunnel of Havana which passes beneath the Havana Cruise port entrance. The exit of the tunnel is right at the start of the 2² km (1.25² miles) which makes up the Colonial quarter and Old Havana. Visitors should choose Playas del Este if they would prefer to stay at a beach resort for most of the time but, still visit Havana City Center and Old Havana as a day trip. We usually call this an 80/20 type vacation, 80 being beach and 20 being sightseeing. As a general rule of thumb, most (if not all) Hotels in Havana’s Eastern beaches offer some type of free daily shuttle service into the city, with varying degrees of regularity, depending on the hotel in question. Havana’s beaches are pristine, offer amazing scenery and lots of possibilities to do a myriad of water sports or just relax under a palm tree. As many Havana natives visit Playas del Este on weekends and holidays, it can make for some fun times at the numerous clubs and bars that litter the coast line. There are just a couple of Hotels in rural locations outside Havana, these are: Hotel Las Yagrumas, Hotel Mariposa and Hotel Bello Caribe. These hotels are all in rural settings away from the city and offer relaxation, wildlife, countryside but, not much else. They are good for a pre-departure break or as stopover hotels for those who arrive at Havana’s Jose Marti Airport but, intend to travel to other locations in Cuba the following day. This Havana Hotel Booking website offers all the Hotels in Havana, there are no more besides those in Old Havana that appear on our other specialized website for that tiny area of Havana. All bookings are 100% guaranteed; we show you a real-time price comparison of all major suppliers both, Cuban national and international, for each hotel and, are NOT SUBJECT TO PREPAYMENT to obtain a valid hotel confirmation. You can also contact us by using the chat button if you have any doubts or would simply like some free advice. Whether you are visiting us to book your Havana hotel or simply check rates, read Havana hotel descriptions, read the reviews or see Havana Hotels on maps, we thank you for visiting us.